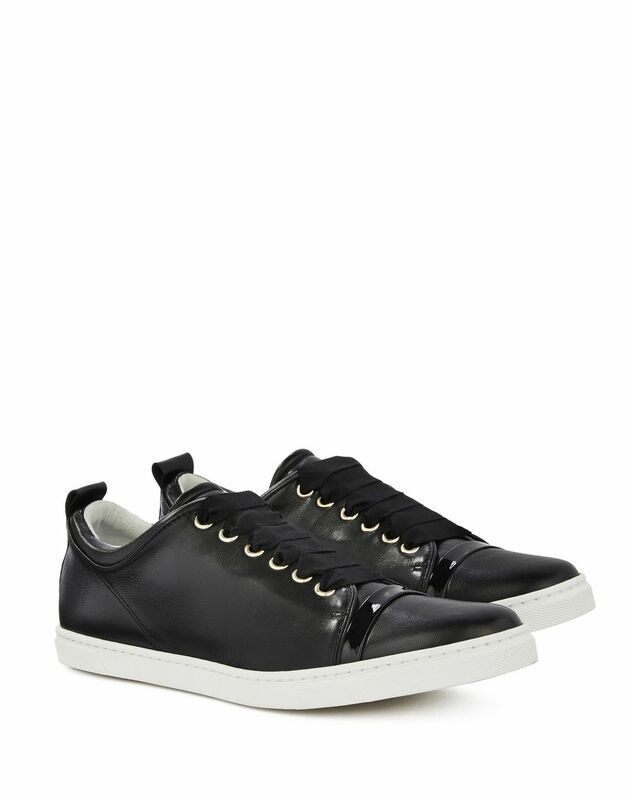 Low-top sneaker in black lambskin leather, cap toe highlighted with a patent leather strip and tone-on-tone topstitching, grosgrain cotton laces, ankle tab, vermeil-finish metal eyelets, calfskin leather lining with gold Lanvin logo, and topstitched white sole. 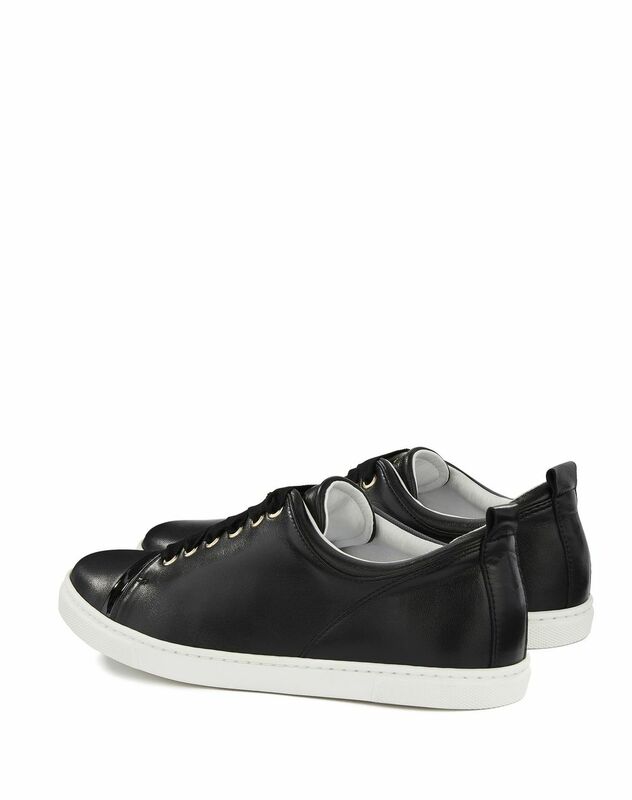 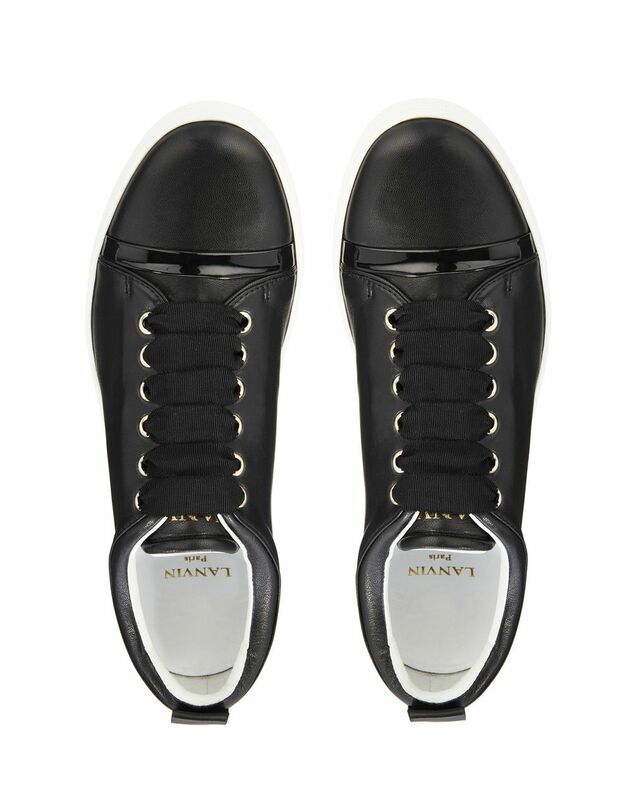 A women’s wardrobe essential, this black lambskin leather sneaker is a timeless Lanvin classic. 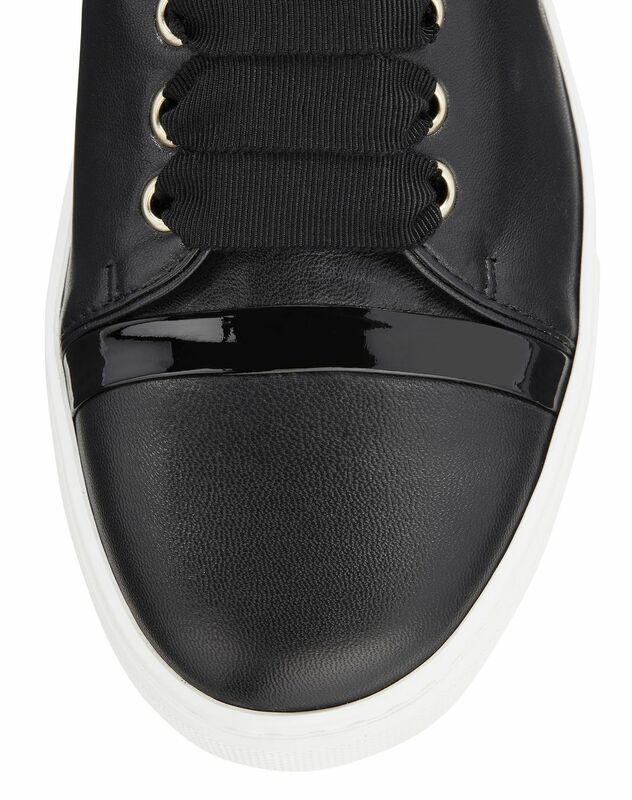 The patent leather strip provides this model with some graphic edge, while the grosgrain cotton laces leave the brand’s mark on the shoe. 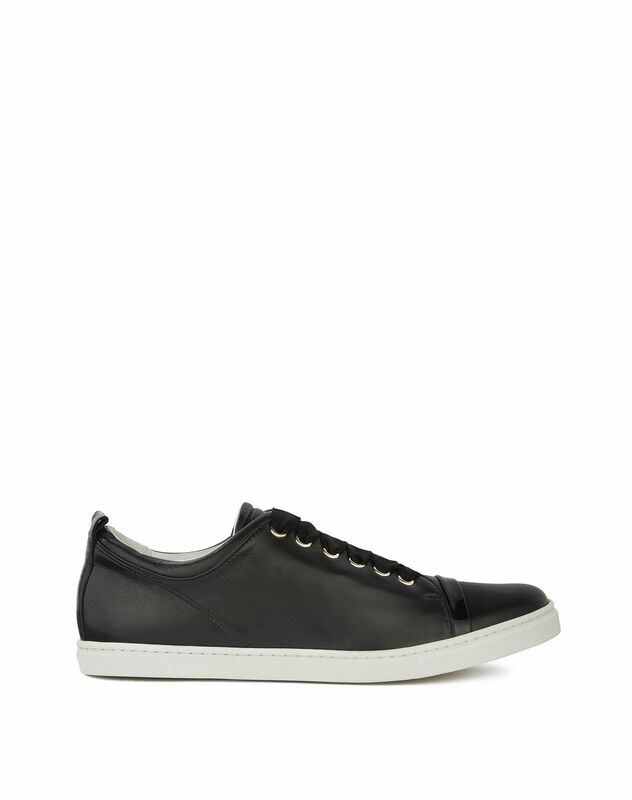 Combining comfort and savoir-faire, this sneaker offers contemporary, casual flair.